Between 1878 and 1880, Commodore Robert Shufeldt commanded the U.S.S. Ticonderoga on a mission to Africa, the Middle East, and Asia in an attempt to further open those regions to U.S. trade. The voyage was moderately successful at raising awareness of U.S. manufactures, but concrete results in the form of trade agreements were mostly lacking, except for an unratified 1880 treaty with Anjouan. However, Shufeldt was able to lay the groundwork for an 1883 commercial treaty with Korea. Shufeldt’s trip was conceived in 1878 by Secretary of State William Evarts and Secretary of the Navy Richard W. Thompson. The U.S. economy had suffered greatly after the Panic of 1873 and entered into a depression worsened by weak consumer demand. Evarts and Thompson hoped that a successful trade mission would open new markets for U.S. manufactures. The mission as described by Evarts and Thompson was to visit the “unfrequented ports of Africa, Asia, the islands of the Persian Ocean, and the adjacent seas, particularly where there are at present no American Commercial representatives with a view to the encouragement and extension of American Commerce.” For this task, they chose Commodore Robert Wilson Shufeldt (1822–1895), who had enjoyed a long and distinguished naval career. Evarts instructed Shufeldt to renegotiate existing treaties and arrange new ones in the places he was scheduled to visit. Senator Aaron Sargent of California also hoped that Shufeldt would be able to improve relations with Korea, where U.S. Marines had invaded in 1871. Shufeldt was also instructed to arbitrate a boundary dispute between the West African nation of Liberia and the British colony of Sierra Leone. The Ticonderoga left the United States on December 7, 1878, and arrived in Liberia on January 15, 1879. Shufeldt successfully arbitrated the boundary dispute with Sierra Leone, and the lands east of the Sugaree River were awarded to Liberia. From Liberia, Shufeldt sailed south along the coast of Africa toward Cape Town, making numerous stops, and recommending the establishment of consulates in key ports along the African coast. Shufeldt also recommended that the United States acquire the Spanish-controlled island of Fernando Po (present-day Bioko in Equatorial Guinea) in order to secure access to palm oil. Noting the hostility of European colonial officials to his mission, Shufeldt expressed a general concern about what seemed to be the joint Anglo-French division of Africa that might interfere with future U.S. trade in the African continent. Rounding the Cape of Good Hope, Shufeldt then sailed up the eastern coast of Africa, stopping at Madagascar, and then heading to the island of Anjouan (also known as Johanna or Nzwane) in the present-day Comoros, where he successfully negotiated a commercial treaty with its ruler, Sultan Abdallah, on October 4, 1879. Abdallah was concerned about British and French encroachments upon his rule, and hoped to cultivate the United States as a possible ally. However, the treaty was not ratified by the U.S. Senate. Following his visit to Anjouan, Shufeldt sailed northwards and visited the Persian Gulf, where he also noted increasing British influence. Shufeldt recommended the establishment of U.S. relations with Persia (present-day Iran), and a U.S. legation was established there in 1883. From the Persian Gulf, Shufeldt sailed to India, Singapore, Borneo, the Philippines, and Hong Kong before heading to Japan, where he aimed to secure Japanese mediation for his negotiations with the Korean government. The Korean government had been hostile to U.S. entreaties since an unsuccessful U.S. attempt to forcibly establish a commercial footing in 1871. However, Japanese mediation ultimately was not successful during Shufeldt’s voyage. 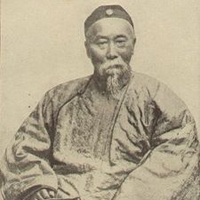 Shufeldt left Japan for China, where he hoped to negotiate with Chinese Viceroy Li Hongzhang (also transliterated Hung-Chang) to obtain a commercial treaty with Korea. Li had followed a policy of reasserting Chinese claims over Korea and curbing Korean autonomy, and so was not amenable to arranging an agreement at that time. Shufeldt also hoped that Li Hongzhang would be interested in American assistance in the reorganization of the Chinese Navy, but the Chinese government had already secured French assistance. Shufeldt ultimately had to leave East Asia without any diplomatic agreements. Overall, Shufeldt’s voyage succeeded in raising the U.S.’s international profile and prestige, but came short of producing significant concrete results. However, the voyage did lay the necessary groundwork for the 1883 Korean treaty which was signed on May 22, 1883 after Shufeldt had been promoted to Rear Admiral and had secured a diplomatic post in China.